Dressing up in fine attire for special events is commonplace, so it seemed appropriate to spruce up the Greenfield Hill Green in time for the 76th annual Dogwood Festival. A neighborhood initiative to restore, preserve and protect the green is responsible for recent improvements on the historic site, including removal of some the area's signature dogwood trees and planting new ones. Although the initiative is not directly related to the Greenfield Hill Congregational Church's Dogwood Festival, the effort will help put a spotlight on the blossoms for the three-day festival, which opens Friday. "We took down a dozen or so dogwoods that were substantially decayed and dead, and replaced them with new, good-size trees; native dogwoods that match those that were there historically," said Larry Erdmann, one of about a dozen neighbors working to form a conservancy for the green. The festival features an art show, musical performances, the 4th annual Dogwood Dash road race, a walking tour of historic sites, a luncheon on Friday, a tent with decorative plants, flowers, herbs and garden accessories, children's crafts and games, a variety of food and baked goods, and the 3rd annual blessing of the animals. "Last year we blessed everything from turtles to Golden Retrievers. Kids turn out with their hamsters and gerbils," said the Rev. Alida Ward, the church's co-pastor. The Dogwood Festival started modestly three-quarters of a century ago when members of the church Ladies Guild noticed how many people enjoyed coming to the neighborhood to see the dogwoods each spring. They initially sold lemonade, fudge and handmade crafts from a card table on the church lawn, and gradually the event took on a life of its own, Ward said. The festival now attracts thousands each year, and the few dollars the Ladies Guild raised for charity in the early years has also grown to between $30,000 and $70,000 yearly, depending on the weather, Ward said. Funds raised this year will support a number of charities, including the Mercy Learning Center, Operation Hope and the Greenfield Hill Congregational Church. Organizers will host a "Raise the Roof" dinner-dance benefit and silent auction to raise funds for much-needed repair of the church roof, which is noticeably sagging. "It's sagging because of the weight of the shingles. Those who put on the prior roofs put one on top of the other. It was a farming community and they didn't have funding (to do it differently)," Ward said. "Two years ago we braced the interior with steel supports so it wouldn't sag further," she said. 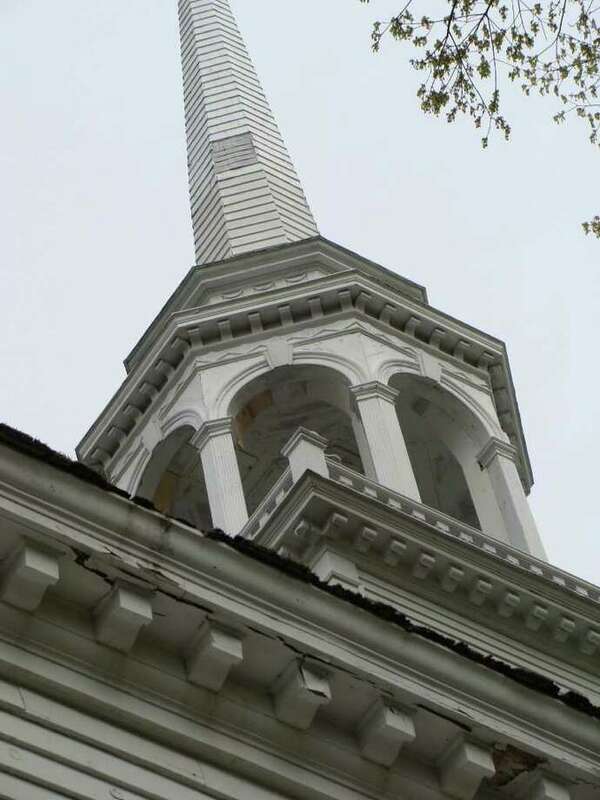 The estimated cost of the roof replacement is $150,000 to $250,000, and church officials hope to get the work done in 2012. "We'll have other events over the course of the year to raise more funds," Ward said. Erdmann said more improvements to the green are planned in the near future, as well as another round of planting next year. They plan to remove non-native trees and shrubs inappropriate to a New England green and that interrupt the natural rhythm and texture of the space. All the dogwoods recently planted were provided by Oliver Nursery at cost. Aqua Lawn has agreed to help with an irrigation system and Connecticut Arborists offered at no cost the pruning and cabling of mature shade trees, most of which are sugar maples. "Many of us wish it could be restored to the beauty envisioned by several waves of far-sighted and appreciative neighbors who planted the dogwoods and the now nearly 200-year-old shade trees that grace this open space," said a letter from the conservatory organizers to neighbors who live within a half mile of the green. "Many of us believe the Greenfield Hill Green lies at the historic and emotional heart of our neighborhood, a symbol of the deep roots of our local history, of the natural beauty and rural character of this unique and wonderful place we call home," the letter says in part. Greenfield Hill Congregational Church will sponsor its Dogwood Festival on Friday and Saturday from 10 a.m. to 5 p.m., and on Sunday from noon to 5 p.m., on the church grounds, 1045 Old Academy Road. For more information or a full listing of the Dogwood Festival events, visit the website at www.greenfieldhillchurch.com.